Twenty of Fife’s young entrepreneurs will take over the Old Kirk in Kirkcaldy on 20th February to showcase their companies to the business community. Aged between 21 and 33 the entrepreneurs are running businesses in a range of sectors including traditional trades, creative and professional services. They hope that by inviting the business community to come and see for themselves the quality and diversity of what they are doing they can forge useful business connections. Each young company will have a stand to exhibit their products and services. They range from handmade jewellery and original artwork to plumbing services and online marketing. 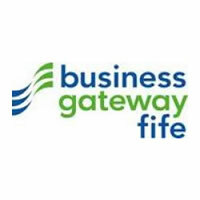 Representatives from Youth Business Scotland and Business Gateway will also attend to explain the support available for young business people. Local participants in the Prince’s Trust TEAM Programme and local xl clubs are also supporting the event to highlight Prince’s Trust programmes in Fife.